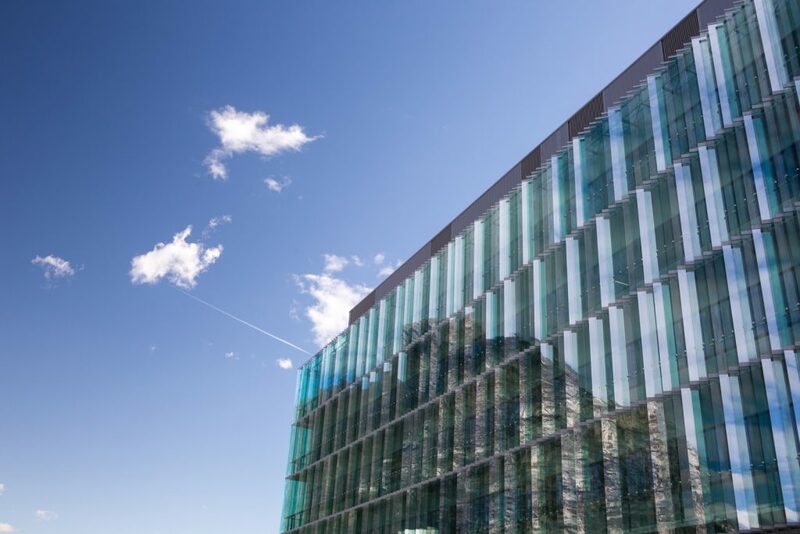 IBS², the institute of structural biology, is the first part of a new science campus in Grenoble, located close to leading institutions such as the European Synchrotron Radiation Facility (the largest of its kind in Europe), and the Institut Laue-Langevin. It is a research centre housing the world’s biggest largest neutron source, the building for which is also the work of Nickl & Partner Architekten. IBS² carries out fundamental interdisciplinary research into the structure and function of proteins. The new building is designed to provide ample space for the many different structural biology research activities on the campus, all under one roof. The design reflects the need for open interaction between the scientists involved, and meets complex functional requirements. It is also extremely flexible, to respond to future research requirements. The ground floor houses a spacious reception area, a 100-seat lecture room, offices, plant rooms, the two main laboratory areas, and the microscopy and nuclear spin resonance departments. The four upper floors contain flexible laboratories and offices grouped around two large atriums designed to encourage communication between the different research departments. 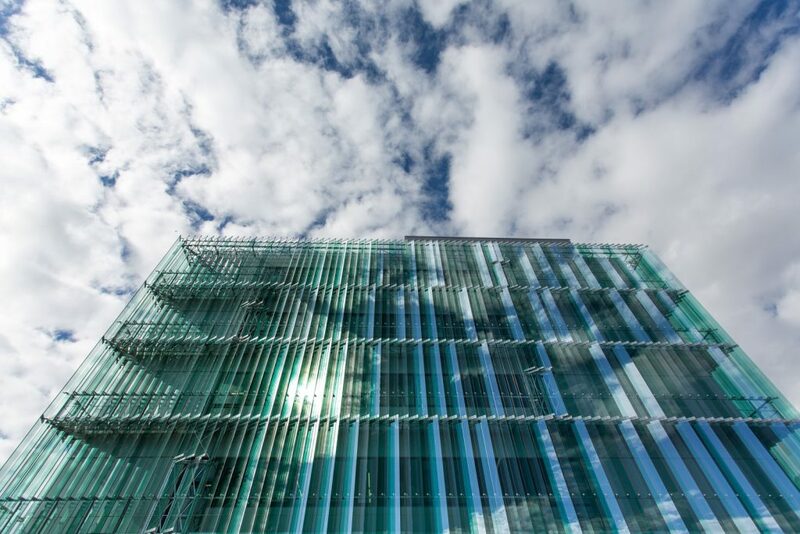 The most distinctive feature of the new building is the façade of vertical panels, which reflect this alpine city’s picturesque surroundings and symbolise the purity and precision of microscopic research. 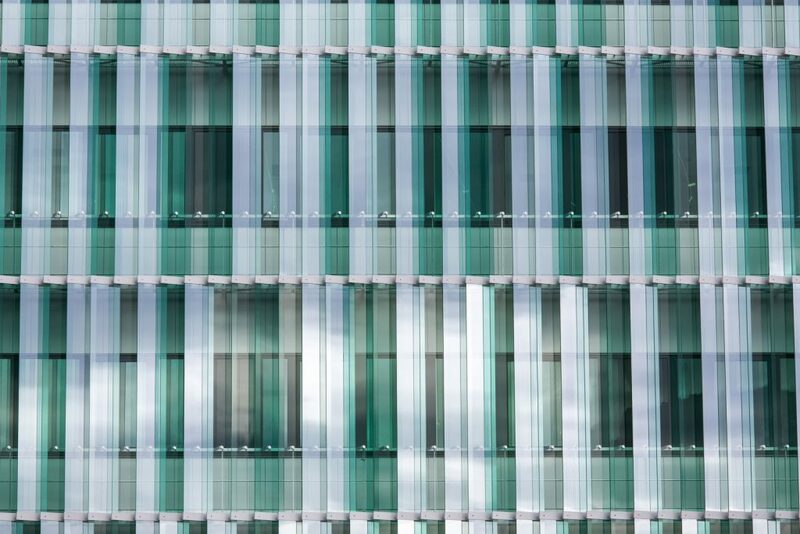 They hold up a mirror to the constantly changing landscape and weather, creating a sense of contrast and variation in this rectangular building.